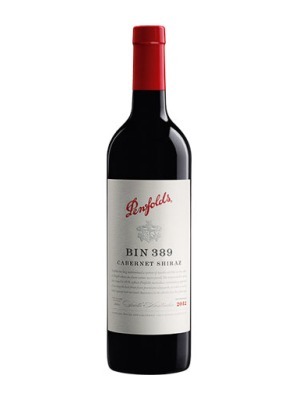 Penfolds Bin 389 Cabernet Shiraz is a popular Australian Red Wine available from Waitrose Cellar in 75cl to buy online. Visit Waitrose Cellar for the best price for 75cl of Penfolds Bin 389 Cabernet Shiraz or compare prices on our other Australian Red Wine products. Penfolds 389 is known for being consistent and ageless. Matured in Oak hogsheads casks, that were previously used to mature the Grange range, hence the name "Baby Grange". This wine is one of Australia's finest. A classic Australian icon Combining the structure of Cabernet with the richness of Shiraz, Bin389 exemplifies Penfolds skill in judiciously balancing fruit and oak. An aromatic wine brimming with mocha and coffee flavours. Where to buy Penfolds Bin 389 Cabernet Shiraz ? Penfolds Bin 389 Cabernet Shiraz Supermarkets & Stockists. You can buy Penfolds Bin 389 Cabernet Shiraz online in most retailers and find it in the Australian Red Wine aisle in supermarkets but we found the best deals online for Penfolds Bin 389 Cabernet Shiraz in Waitrose Cellar, TheDrinkShop, and others. Compare the current price of Penfolds Bin 389 Cabernet Shiraz in 75cl size in the table of offers below. Simply click on the button to order Penfolds Bin 389 Cabernet Shiraz online now.